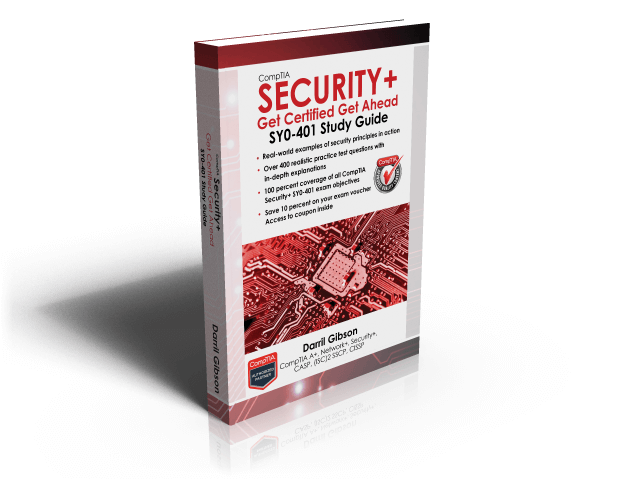 Security controls help reduce risks in an organization and the Security+ exam expects you to understand security controls from two perspectives: their goals, and how they are implemented. This three-part post focuses on the goals of security controls in the first two posts, and implementation methods in the last post. You might see controls referred to as countermeasures or safeguards, referencing their ability to counter threats and provide safeguards to reduce vulnerabilities, but they are all the same. More specifically, security controls attempt to prevent or limit the impact of a security incident. A security incident is an adverse event or series of events that can negatively affect the confidentiality, integrity, or availability of an organization’s IT systems and data. This includes intentional attacks, malicious software (malware) infections, accidental data loss, and much more. One way of classifying security controls is based on their goals in relationship to security incidents. Some common classifications are preventive, detective, corrective, deterrent, and compensating. Hardening. Hardening is the practice of making a system or application more secure than its default configuration. This includes disabling unneeded services and protocols, protecting management interfaces and applications, protecting passwords, and disabling unnecessary accounts. Security awareness and training. Ensuring that users are aware of security vulnerabilities and threats helps prevent incidents. When users understand how social engineers operate, they are less likely to be tricked. For example, uneducated users might be tricked into giving a social engineer their passwords, but educated users will see through the tactics and keep their passwords secure. Security guards. Guards prevent and deter many attacks. For example, guards can prevent unauthorized access into secure areas of a building by first verifying user identities. While attackers might attempt social engineering tactics to fool a receptionist, the presence of a guard will deter many social engineers from even trying these tactics. Change management. Change management ensures that changes don’t result in unintended outages. In other words, instead of administrators making changes on the fly, they submit the change to a change management process. Notice that change management is an operational control, which attempts to prevent incidents. In other words, it’s both an operational control and a preventive control. Account disablement policy. An account disablement policy ensures that user accounts are disabled when an employee leaves. This prevents anyone, including ex-employees, from continuing to use these account. Preventive controls attempt to prevent security incidents. Hardening systems increases a system’s basic configuration to prevent incidents. Security guards can prevent unauthorized personnel from entering a secure area. Change management processes help prevent outages from configuration changes. An account disablement policy ensures that accounts are disabled when a user leaves the organization. Log monitoring. Several different logs record details of activity on systems and networks. For example, firewall logs record details of all traffic that the firewall blocked. By monitoring these logs, it’s possible to detect incidents. Some automated methods of log monitoring automatically detect potential incidents and report them right after they’ve occurred. Trend analysis. In addition to monitoring logs to detect any single incident, you can also monitor logs to detect trends. For example, an intrusion detection system (IDS) attempts to detect attacks and raise alerts or alarms. By analyzing past alerts, you can identify trends such as an increase of attacks on a specific system. Security audit. Security audits can examine the security posture of an organization. For example, a password audit can determine if the password policy is ensuring the use of strong passwords. Similarly, a periodic review of user rights can detect if users have more permissions than they should. Video surveillance. A closed-circuit television (CCTV) system can record activity and detect what occurred. It’s worth noting that video surveillance can also be used as a deterrent control. Motion detection. Many alarm systems are able to detect motion from potential intruders, and raise alarms.